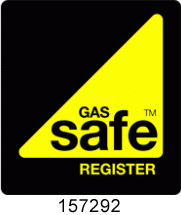 We can supply a fully qualified plumber in Coppull for any gas, heating or plumbing service. Everybody needs a plumber in Aspull sooner or later. Your boiler needs repair or replacement or you want to add a second bath to your home. You will never know when you need plumbers in Billinge to attend to an emergency plumbing problem. You may need the services of plumbers in Bolton and it is a good idea to reach out to an experienced company. If you need reliable plumbers in Blackrod with a 24-hour emergency service, you should search for one before you have a problem. Some years back a customer called us at M&R Plumbing looking for a plumber in Leyland. Are you searching for a plumber in Ince in Makerfield? Power flushing in Euxton is always in demand, and now with a strong El Nino climate phenomenon, it looks as though there is a colder than usual Winter for Northern Europe. A plumber in Bolton is a blessing when your pipes burst or you need help with a blockage in the water system. Not sure from where you could get a plumber in Abram?